Google has been telling some moving stories recently about how its technology helps people in different ways. 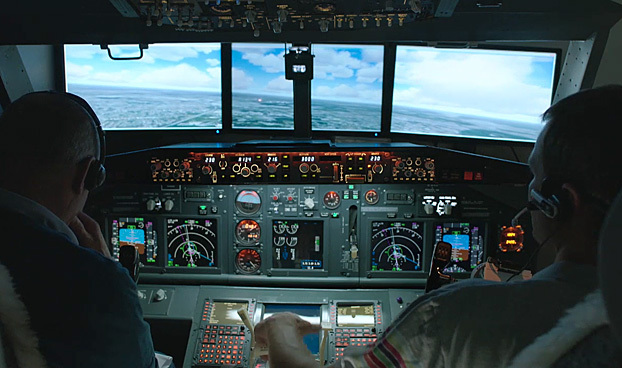 The latest, a three minute online film from 72 and Sunny Amsterdam and director Greg Kohs, focuses on Frenchman Laurent Aigon, who rediscovers his childhood obsession of flight by engineering his own fully functioning flight simulator. Using Google search, he scours the Internet for all of the parts necessary to build a fully operative machine, obtaining specific pieces from all over the world. The resulting masterpiece is built in his daughter's bedroom. While not quite as moving a story as that of Saroo Brierley in "Homeward Bound", it's a nicely made film that shows how the internet can help people fulfil their dreams.